(1 Customer Reviews) | Write Review 5 issues per year Ottawa Magazine informs and engages city readers with entertaining features that delve into the issues, people, and places that define Canada's capital. Our tireless team of reviewers scoured the city, from Wellington West boutiques to Vanier take-aways, from Old Ottawa South coffee shops to Hull after hours. With The OTTAWA MAGAZINE 2014 Neighbourhood Guide you can eat, drink, and make merry like a local, no matter where you are. Ottawa Magazine informs and engages city readers with entertaining features that delve into the issues, people, and places that define Canada's capital. 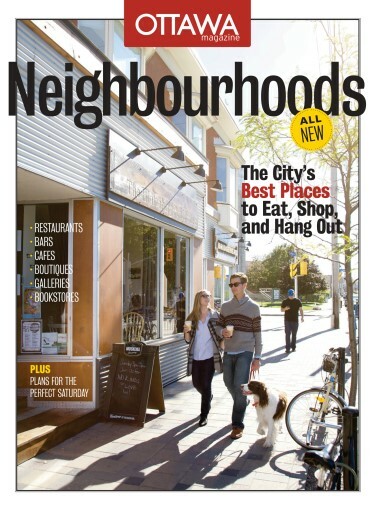 You'll receive 5 issues during a 1 year Ottawa Magazine magazine subscription. Love Ottawa, you will like Ottawa Mag, I love Canadian culture and history and this is a great mag to delve into Ottawa, especially if you are interested in possibilities of moving there. 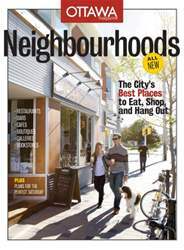 You'll receive 5 issues during a 1 year Ottawa Magazine magazine print subscription.